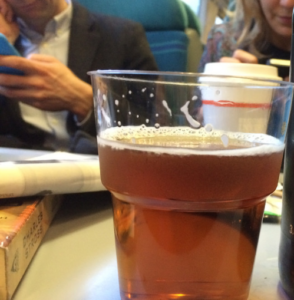 Should Alcohol Be Banned On All Irish Train Routes? We got an email in to Dublin Talks from a parent who had a bad experience on a train to Wexford - she was stuck in a carriage with her child where people were drinking and being anti social. So we asked you on the show today if you think alcohol should be banned on all train journeys around Ireland? Jane Cregan from Irish Rail told us about what routes have already banned drinking alcohol and what Irish Rail's current policy is. We had a huge reaction from Dublin Talks callers - many agreeing that alcohol should be banned outright but a lot of people argued that there's no harm in having a few drinks on a train. Listen to Dublin Talks daily from 10am-12pm, only on 98FM.